In 2019, a beloved tale will take you to new heights. You’ve seen a dragonfly, a horsefly, and a housefly, but have you ever seen an elephant fly? Well, certainly not since 1941, when Walt Disney Animation Studios released their 4th fully-animated feature, the tightly budgeted Dumbo, which was rushed into production and quickly dropped into theatres, the House of Mouse hoping it would help them recoup some much-needed revenue following the expensive fiascos that were Pinocchio (1940) and Fantasia (1940) — things have totally turned around since then, the aforementioned now both considered to be all-time classics. … on with the show. If you haven’t been living under a rock, you’d no doubt notice that (apart from taking over the world) Disney have been busy reviving many of their time-honored tales — remember 2017’s Beauty and the Beast and The Jungle Book before that, with The Lion King and Aladdin due out later this year. 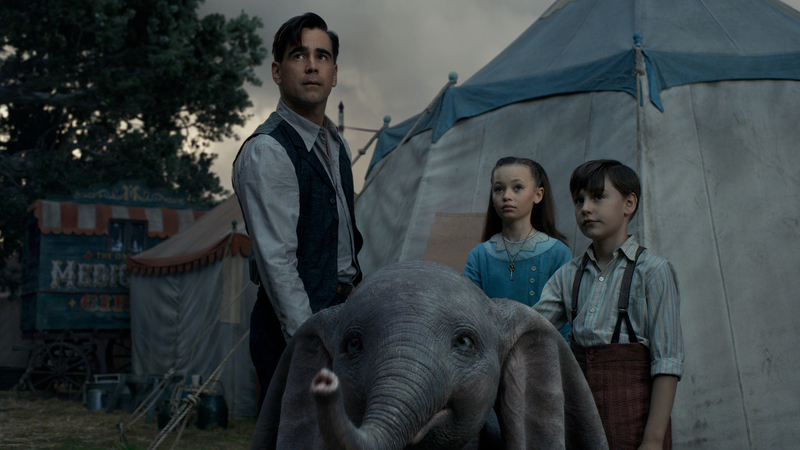 Their first offering for 2019, however, is Dumbo, directed by hugely gifted visual virtuoso Tim Burton. Surprisingly, this live-action adaptation is not so much a remake and exists as more of a re-imagining, introducing entirely new plot threads, sequences and characters while eliminating much of what made the original so iconic — you can liken it to 2010’s Alice in Wonderland, which is far more of a Burtonesque beast than a straight-up Disney romp. But, hey, at least Dumbo ’19 never forgets its roots. 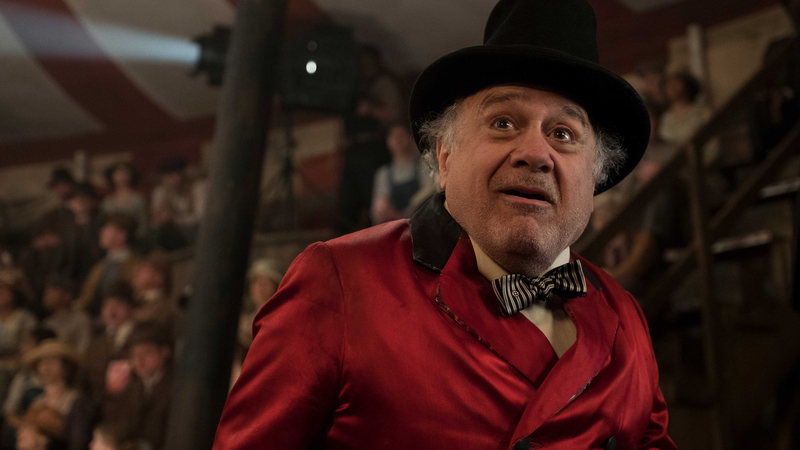 Dumbo opens in 1919, where natural born showman Max Medici (Danny DeVito) is chugging across the American Midwest with his Medici Brothers Circus (Burton begins the flick with a fantastic montage of the wandering carnival going about its business in a post-World War II landscape). 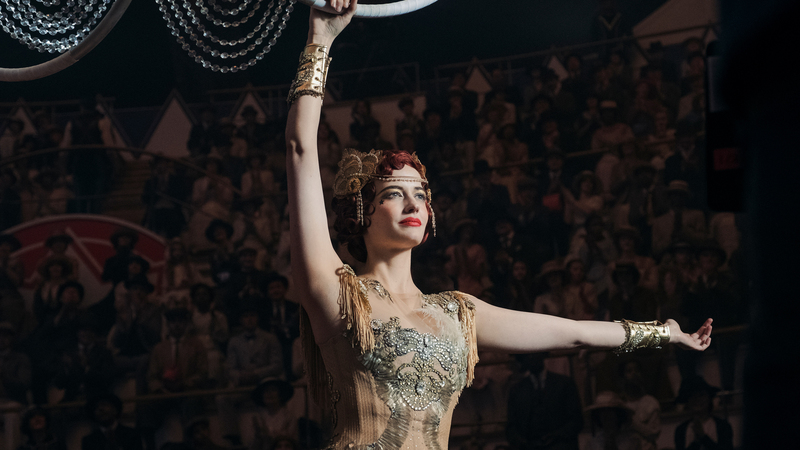 Traveling showbiz, however, has become a tough gig; not only has Max’s circus run into financial turmoil but his star equestrianism performer, Holt Farrier (Colin Farrell), has returned from the trenches missing an arm, learning that Max has since sold his prized horses. Eager to pick up his life after the loss of his co-performer wife — who passed away from sickness while he was absent fighting for his country — Holt accepts a job as the caretaker for the troupe’s pregnant elephant, Jumbo, in order to support his now-motherless kids, science wiz Milly (Nico Parker) and her little brother Joe (Finley Hobbins). When Jumbo gives birth to a calf with abnormally large ears, ringmaster Max — believing that the inclusion of a ‘cute’ baby elephant could help get them back in the green — demands that Holt hide the deformity. Things, though, don’t go according to plan, with the young elephant’s ears flopping out during a packed-out performance, the laughing audience nicknaming the tyke Dumbo; everyone is shocked, upset or angry, with the exception of Milly and Joe, who swiftly discover that, with some assistance from a feather, Dumbo can use his flappers to fly! Word of Dumbo’s astonishing feat quickly gets around, catching the attention of sliver-wigged entrepreneur V. A. Vandevere (Michael Keaton), who approaches Medici and his non-existent brother with hopes for a collaboration, Vandevere promising to house all of Max’s wackadoo crew if Dumbo were the new star attraction of his larger-than-life Coney Island amusement park, Dreamland. Initially dazzled by the sprawling splendor of the bohemian wonderland — which bears an uncanny resemblance to Disneyland, what with its Wonders of Science, Rocket to the Future and Nightmare Island pavilions — it isn’t long until Milly and Joe begin to suspect that something about their new utopia isn’t quite right. 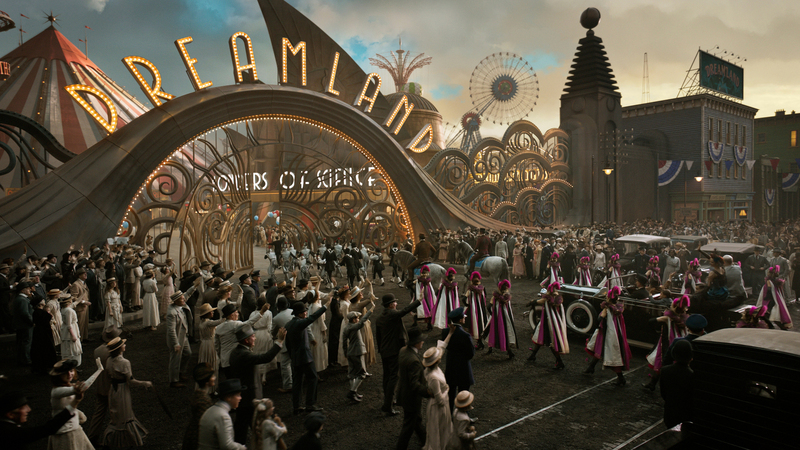 Littered with Burton’s signature trappings, trademarks and garnishes — think quirky characters, wildly exaggerated sets, décor, and outfits, and stylized architecture (the innovative design of the forward-looking Dreamland is simply sublime) — Dumbo ’19 is a beautifully realized film; each and every frame is teeming with flavor and imagination. Scripted by Ehren Kruger (best known for penning a chunk of Bay’s Transformers movies), the screenplay is what ultimately stops Dumbo from soaring beyond the clouds. You see, the ’41 film is a mere 64 minutes in length, leaving Kruger to pad out the runtime with superfluous narrative strands, in turn losing sight of the story’s emotional core — a baby being separated from its mother. To put things into perspective, this latest Dumbo take is about 48 minutes longer than the toon classic, bloated with stuff about corporate greed and villainy, and dysfunctional family dynamics. And when the movie’s real themes do finally come to light — messages of animal abuse/ exploitation and captivity — they feel somewhat unprompted, taking a backseat to other threadbare ideas, like belonging, celebrating differences, and the dangers of golden handshakes. Still, there’s enough good in Dumbo to warrant a trip to the cinema — it suckered me in — and much of this can be attributed to the titular lil’ tusker, who’s been admirably brought to life via some cutting-edge digital wizardry (much like the flora and fauna in Jon Favreau’s The Jungle Book), his sweet, puppy-dog eyes, and adorable oversized ears sure to melt even the coldest of hearts — he’s wonderfully textured and really quite expressive. Allying with the definitive Disney version, this Dumbo can’t, and doesn’t physically speak, and nor do any of the other critters we meet — look out for a blink-or-you’ll-miss-it cameo from Timothy Q. Mouse, Dumbo’s brazen, bucktoothed pal. And that’s just one of many nostalgia-pushing shout-outs, including a call-back to the boozy, hallucinogenic ‘Pink Elephants on Parade’ — which I’m sure gave many of you nightmares back in the day — presented here as a kind of opulent delusion, filtered through the peepers of the wide-eyed Asian elephant; this sequence is heightened by the trippy score of Danny Elfman (who samples the song from the animated film but adds his own eccentric spin on the material), making this the composer’s 17th team-up with filmmaker Burton. The absolute highlight for me, though, is the impressive recreation of the well-known fire-fighting act, which sees Dumbo perform a deadly stunt while wearing sad clown makeup, the scene just as tragic as it is triumphant. Performances, overall, are a mini circus attraction within themselves. Irish actor Colin Farrell — despite not being Burton’s first choice for the role — does a credible job as Holt Farrier, a wounded entertainer returning home from the war to find that things have changed, while the great Danny DeVito (who’s worked with Burton four times now) energizes all of his scenes as a small-time P.T. Barnum emcee, his interactions with a cheeky CG monkey constantly hitting their mark. 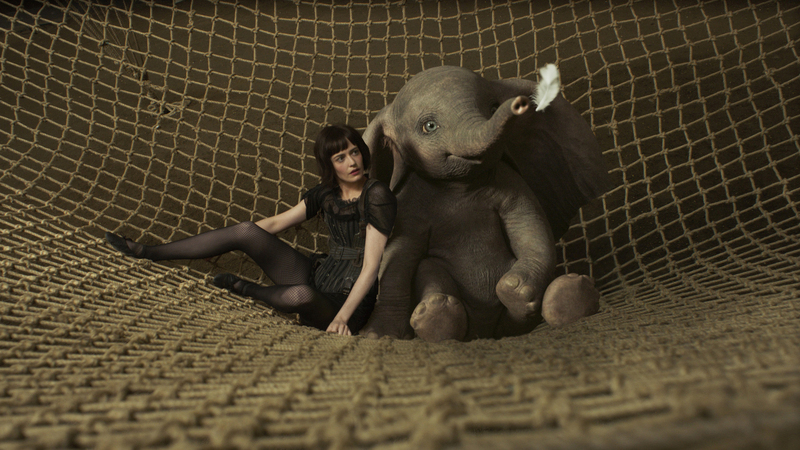 Unfortunately, Burton’s new muse, the always-ravishing Eva Green, Miss Peregrine’s Home for Peculiar Children (2016), is sidelined as French trapeze artist Colette Marchant, having very little to do bar take to the sky atop Dumbo in Dreamland (a nod to Disneyland’s Dumbo the Flying Elephant carousel ride perhaps). Heartbreaking in parts, sometimes dark (yes, it’s PG for a reason), hugely uplifting and funny, Dumbo, sticking closely to Disney’s time-tested formula, is a nice addition to the studio’s postmodern library. While it’s definetly not their best-translated work (the inclusion of an unneeded human element is more of a hindrance than a help), Dumbo outshines Bill Condon’s sub-par Beauty and the Beast any day, giving us inspired sights and sounds, and some prime performances to boot. It doesn’t all work, but it’s bold and unique (significantly skewing away from its source material), and that’s a rare treat in today’s cinematic landscape. So ‘roll up, roll up,’ as far as kids’ films are concerned, Dumbo’s the clear prizewinner these school holidays.